This oval photo frame with the Claddagh and Celtic knot-work makes a great Irish gift for any occasion. 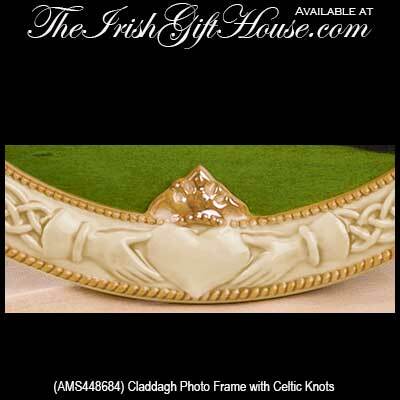 This Irish picture frame features the Claddagh at the base along with a border of Celtic knots. 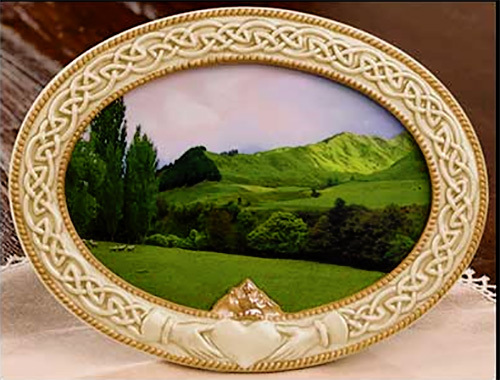 The ceramic Claddagh picture frame measures 5 1/2” x 7 1/2” oval and it holds a 4" x 6" photo.